Without fail, every time I go to upstate New York, I wonder why I don't make the trip more often. In just a short train ride, you can arrive in a place that is such a huge contrast to New York City. And it's this contrast that makes the experiences so special. 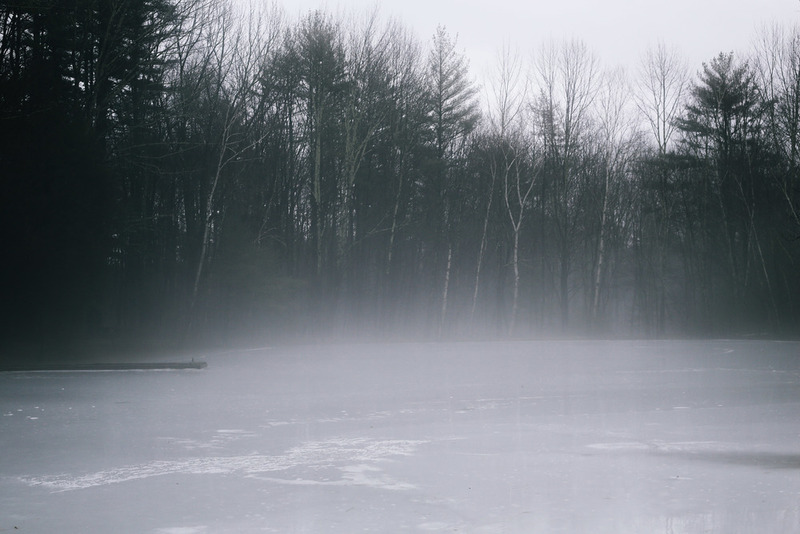 On this particular trip, we took detours, explored foggy roads and ponds and the woods behind our house. We ate icicles like popsicles, sat in front of the fire for hours, and made huge meals together, all eleven of us. It was peaceful and refreshing and incredibly fun - just what we all needed. Below are just several snaps from our weekend in Woodstock.